Welcome To the Spring edition of ‘The Book Corner’. This month my suggestions include two interesting study books for adults and two new books for children. Journey through London’s history – what its inhabitants believed, what they worshipped, where, when and how; the landmarks, and the issues. From its earliest days and pagan gods, through Roman occupation, the coming of Christianity, and the later waves of other faiths – Jews, Muslims, Hari Krishnas – this book takes the reader on a fascinating journey. 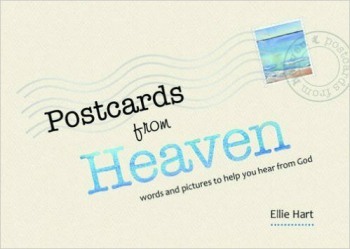 Writer and artist Ellie Hart has created a series of ‘postcards from heaven’ – her own paintings linked to short, thought provoking reflections, to help all who long to hear more clearly from God, especially when going through seasons of change and uncertainty. Dave’s book How To Be A Bad Christian showed how it’s possible to ditch religion without losing the faith. The Bad Christian’s Manifesto unpacks what spiritual intelligence might look like for all the self-confessed ‘bad’ Christians of the world. Built on decades of study, but unique in its approach, this book sets out background information, interpretative possibilities, raises questions and suggests approaches, encouraging readers to investigate, both critically and prayerfully, for themselves rather than relying on one’s translation or commentary. 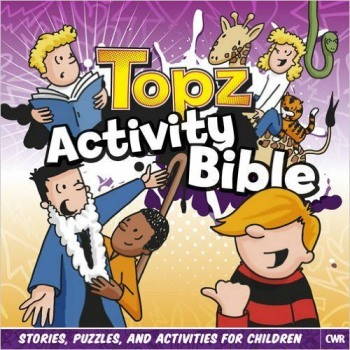 From the makers of Topz daily reading notes comes an exciting new activity Bible! Children aged 7 – 11 can discover key Bible Stories, and some lesser known ones too, in a way that brings God’s Word to life! Every story is followed by two Topz activities to challenge and entertain young readers. or telephone 08453 679676 or I can order for you.